Founded in 1992 by Mary K. Swanson, President and CEO, HealthCare Dimensions Incorporated is a health care services company based in Tempe, Arizona. It was founded on the premise that for managed Medicare to be viable in the long run, cost-effective, preventive benefits need to be incorporated into the care continuum. The company’s SilverSneakers® Fitness Program was created to meet this need and has since evolved to become one of the leading senior exercise programs in the country. HealthCare Dimensions’ vision is to integrate quality senior fitness programming into communities through health plan and physician settings. It is documented that increasing physical activity levels in the older adult population can reduce the risk of disability and disease. 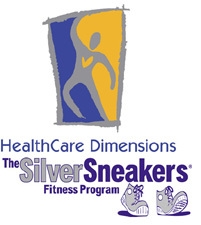 HealthCare Dimensions currently partners with 12 major health plans across the United States to deliver the SilverSneakers® Fitness Program to their Medicare-eligible members at no additional cost to the member. HealthCare Dimensions develops networks of fitness centers that include YMCAs, Jewish Community Centers, senior centers and family operated fitness centers where all older adults can benefit from quality senior fitness programming.